The Miami Marlins have traded 2017 National League MVP Giancarlo Stanton to the New York Yankees! Starlin Castro, RHP Jorge Guzman and SS Jose Devers will head back to the Marlins in return. 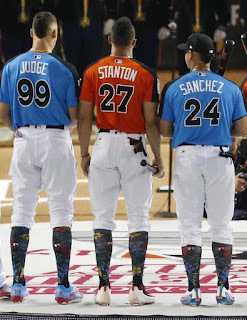 The Yankees lineup already features Aaron Judge and Gary Sanchez - combined with Stanton, the three of them hit 144 home runs last year. Sanchez hit 33 in just 525 ABs. 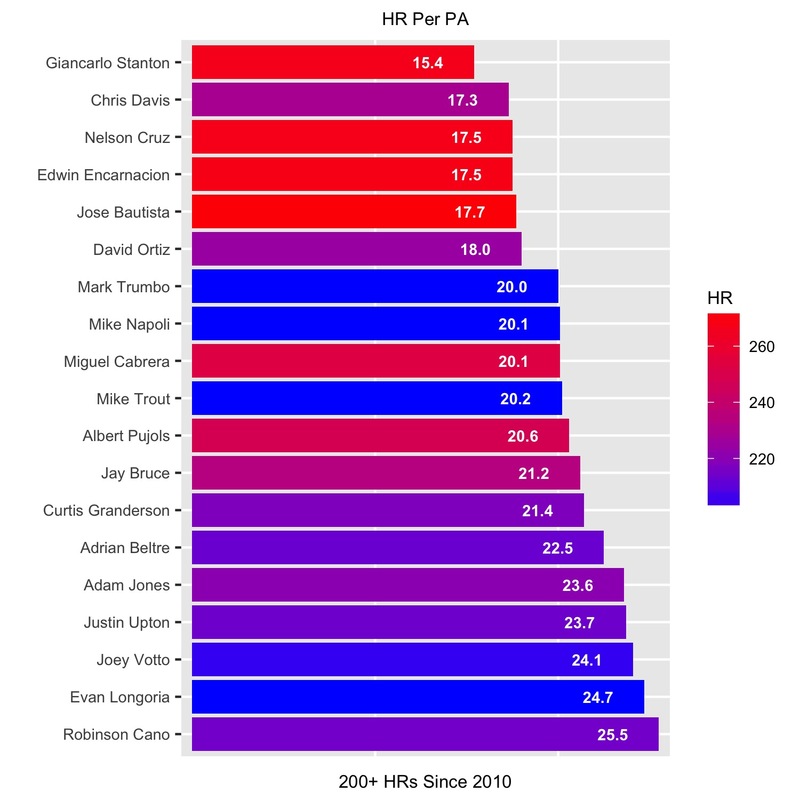 Didi Gregorius and Brett Gardner also added a combined 46 home runs in 2017. Greg Bird has hit 20 home runs in 304 MLB ABs. Stanton averaged just 117 games in his first 7 MLB seasons before playing in 159 games last year. It was just the 2nd time in his career that he played in 150 games. He also appeared in 145 games back in 2014. Stanton missed the 2nd half of the 2015 season after suffering a broken hand in June. The following year, a groin injury limited him to 119 games. However, of the 19 players with 200+ home runs during that time period, Stanton’s 15.4 HR/PA leads the league.